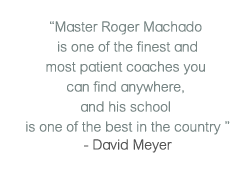 Roger Machado is a 6th Degree Black Belt in Brazilian Jiu Jitsu with over 40 years of experience in the art. 2nd Eldest of the Machado Brothers, Roger is nephew to the founder of Brazilian Jiu-Jitsu Carlos Gracie Sr. Alongside his cousins The Gracie Family, Roger and his brothers are pioneers of Brazilian Jiu-Jitsu in the United States. 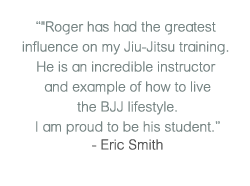 Roger Teaches Monday, Wednesday, and Friday (Day) classes. Kahlil Moreland is a 3rd Degree Black Belt in BJJ. With over a decade of competition experience, Kahlil brings a wealth of knowledge in the technical aspects of Brazilian Jiu-Jitsu. Kahlil heads the Roger Machado Pasadena competition team. Kahlil teaches Tuesday, Thursday, Friday (Evening) and Saturday classes.